Nadler said his committee would be willing to go to the Supreme Court to get all of the information in the report, if the president asserts executive privilege to block some of the investigation’s findings from being made public. “We are already hearing that the president may want to claim executive privilege on some of this,” said Nadler. He added that the Supreme Court ruled in 1974 that executive privilege could not be claimed in a criminal trial for subpoenaed materials, like tapes of President Richard Nixon’s personal conversations during the Watergate scandal. “Executive privilege cannot be used to shield wrongdoing,” said Nadler. He said the president should not see the report before Congress does. Trump has not commented on the report since Mueller delivered it on Friday to Attorney General William Barr. He took an unusual break from Twitter on Saturday, before posting a cryptic greeting Sunday morning. The handoff of the report marks the conclusion of a 675-day investigation into possible collusion between Trump’s presidential campaign and the Russian government but set in motion what could be months of battles over how much of it will be shared with Congress and the American public. While Mueller’s investigation led to the indictments of 34 people, including Trump’s former national security adviser Michael Flynn, former campaign chairman Paul Manafort and ex-attorney Michael Cohen — as well as three Russian companies — it appears there will be no more indictments coming from the special counsel’s office. It is possible some unresolved investigations may be referred to other offices within the Justice Department for prosecution. “What Congress has to do is look at a broader picture,” said Nadler, whose committee earlier this month requested documents from 81 Trump associates, campaign and administration officials, launching an investigation into alleged obstruction of justice, corruption and abuse of power by the Trump administration. If the Justice Department doesn’t turn over the full Mueller report, Nadler said he would negotiate to see it and if needed issue a subpoena. “He gave us a report, he speaks through that report,” said Nadler. “If that report answers all our questions, there’ll be no need to call him — if that report is all public. If that report is not public, if large parts of it are not made public, or if it leaves a lot of questions, then we have a necessity to call him." Ken Starr, the independent counsel who investigated President Bill Clinton for five years and issued a detailed public report that became the basis of impeachment proceedings against Clinton, wrote in the Atlantic that Mueller “must remain silent” and cannot submit his report to Congress. 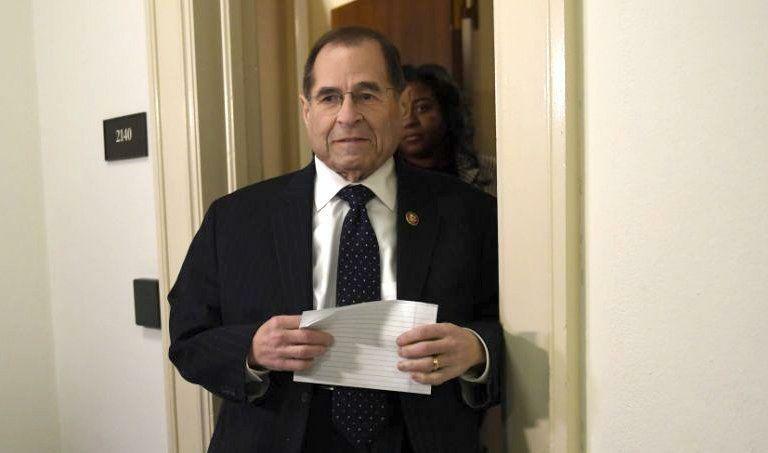 “Once you say that a president cannot be indictable, no matter what the evidence, as a matter of law, to then follow the principle that you can't then comment on the evidence or publicize it is to convert that into a cover-up,” said Nadler. Democrats and Republicans have both objected to keeping the report from the public. Democratic Rep. Pramila Jayapal on “State of the Union” Sunday said the Mueller report is only a small part of the investigation into Trump.